Slightly smaller and much darker than Grey Heron, with angular snake-like neck. Adult dark grey with black belly, chestnut on neck edged with black streak, black crown and line across cheeks. Bill a dull yellow. Juvenile has sandy brown upper-parts and hindneck with diffuse dark streaking on neck and blackish crown. 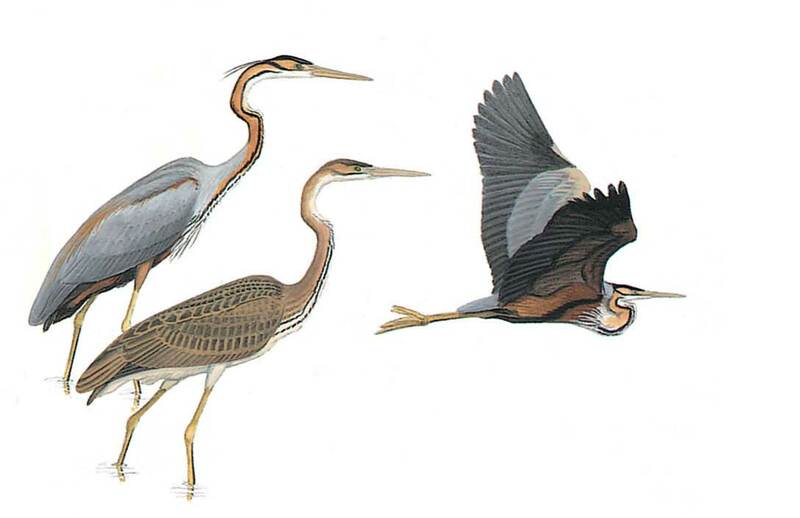 In flight has a more angular neck than the Grey Heron with spread feet. Brownish upperwing coverts are noticeable. Mostly seen in or flushed from vegetation.